For the past ten years, Sun Studio's recording engineer, Matt Ross-Spang has used vintage equipment to give music a retro feel. The early records of Elvis, Johnny, Carl and Jerry Lee all had a certain "sound." A young recording engineer at Sun Studio recreates it for today's bands. 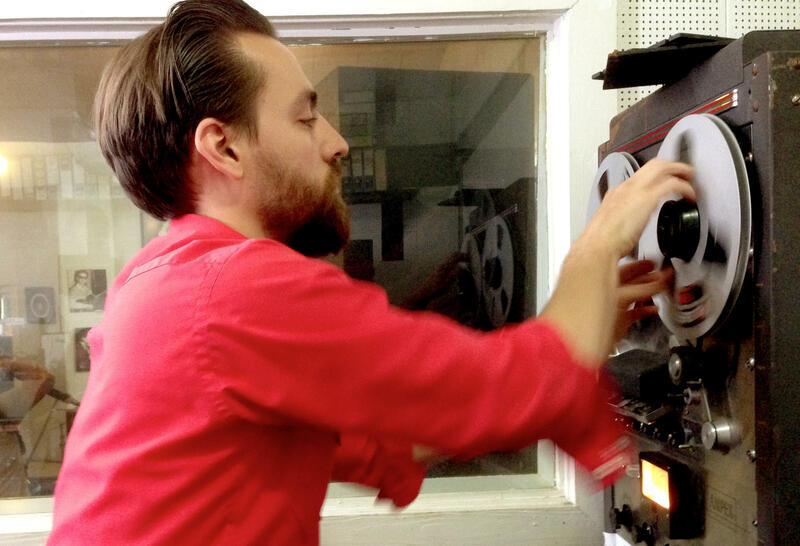 Matt Ross-Spang tells NPR some of the secrets behind the recording process of producer Sam Phillips. But here's one cool detail that didn't make the main story: "the Rockabilly Hiccup." It was a byproduct of the "slapback echo" effect that Phillips liked to use. First, you have to know that because the echo was added live into the master tape while the recording was in progress, the musicians didn't actually hear it until the playback. Several early rockabilly-style singers realized that they could add in vocal sound effects of their own that would "bounce" around in Phillips' slapback echo. Here's Ross-Spang explaining it, along with an example from Carl Perkins' "Gone, Gone, Gone" and Elvis Presley's "Baby, Let's Play House." You might not hear this music the same way again! 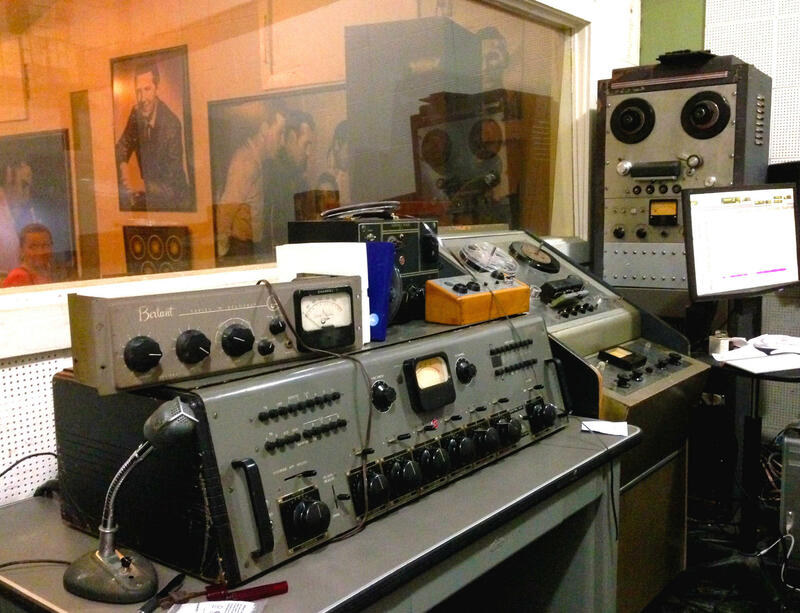 Save for the computer, most everything in Sun Studio's control room is Cold War Era recording equipment.